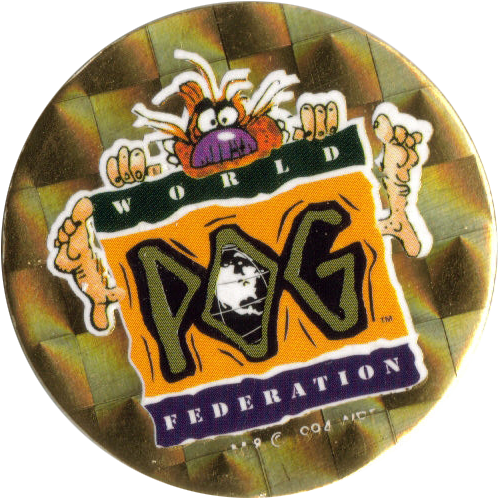 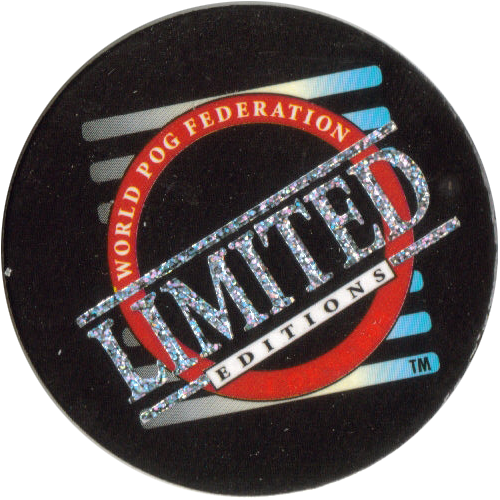 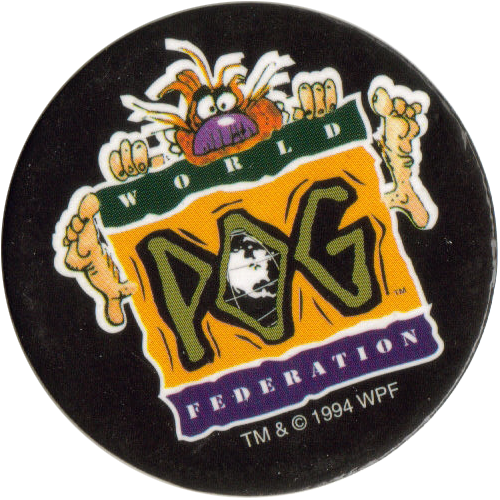 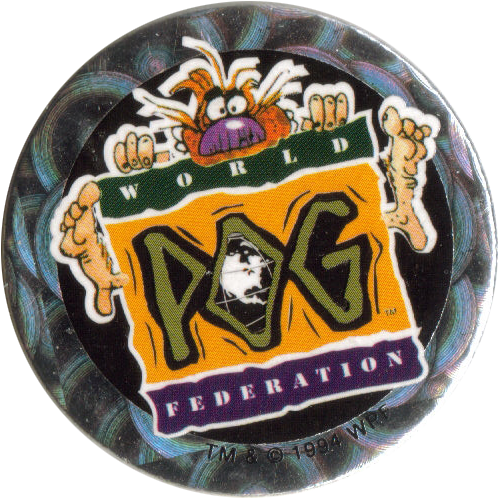 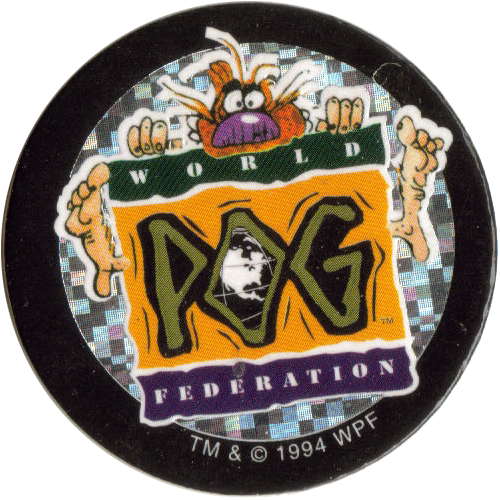 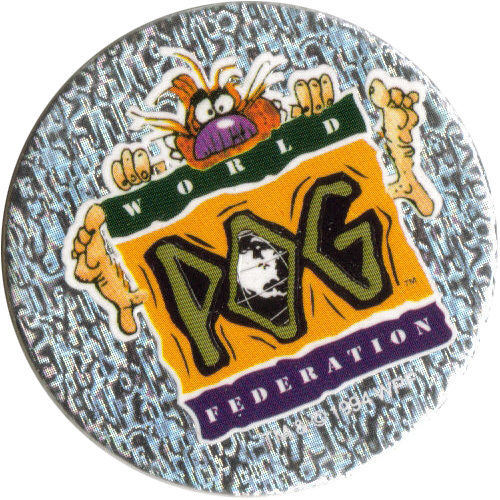 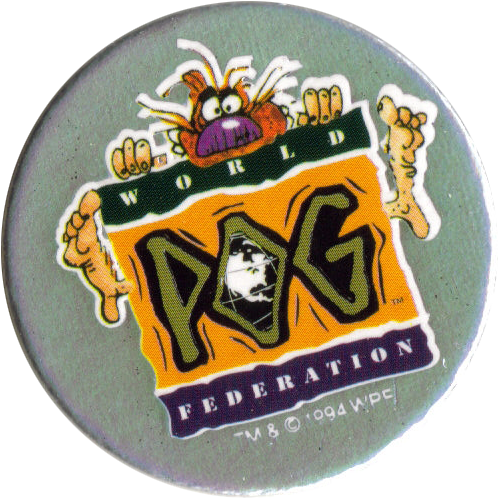 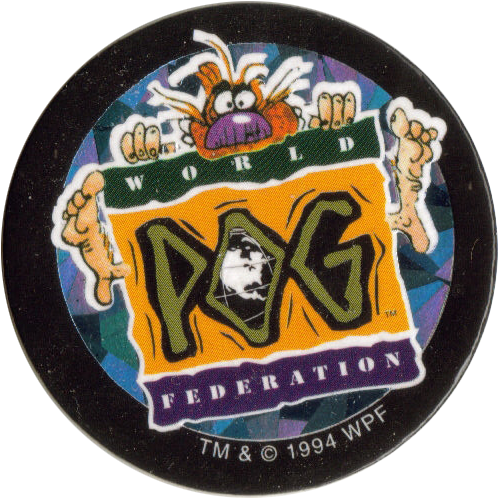 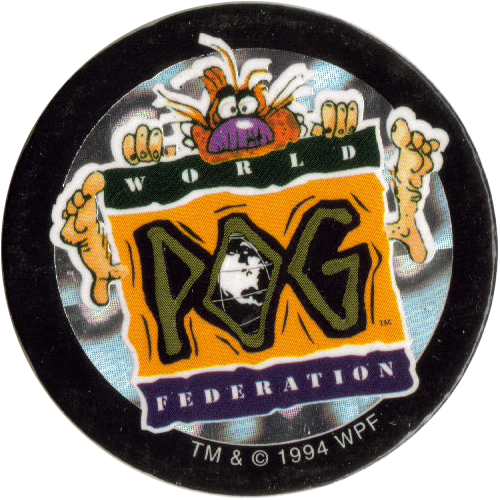 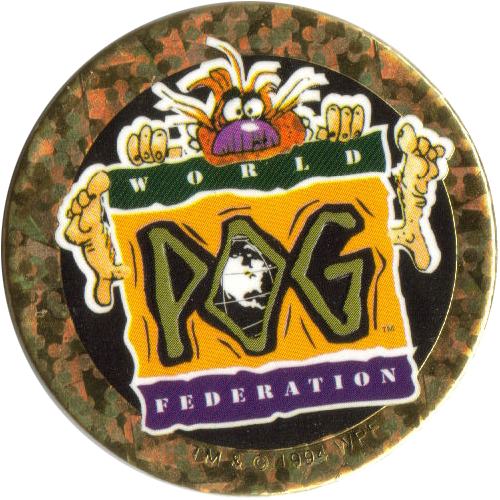 Info:This is the full set of POG Pourri Series 1 milkcaps that were released in the USA by the World POG Federation in 1994. 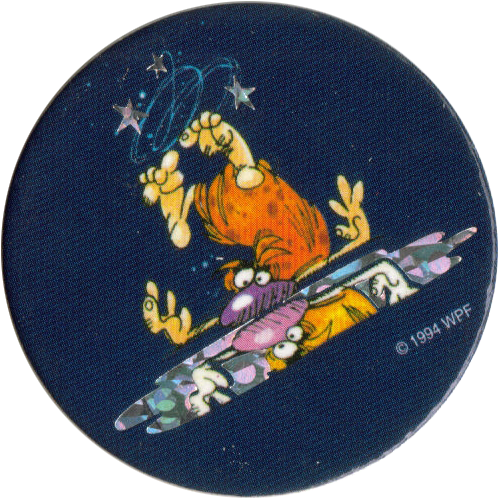 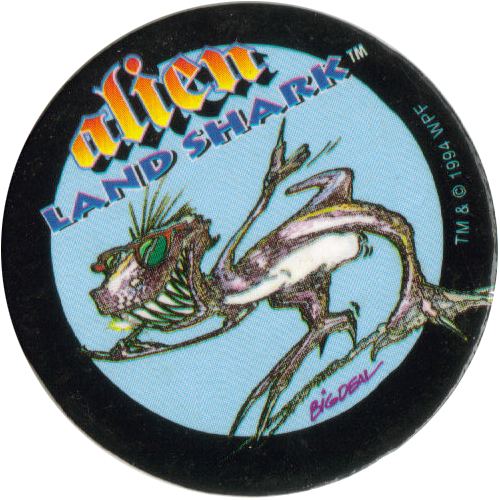 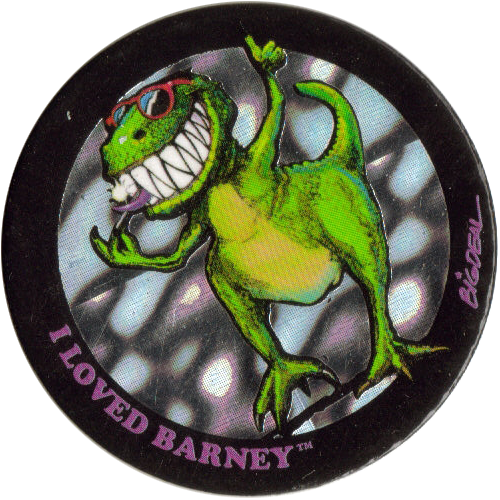 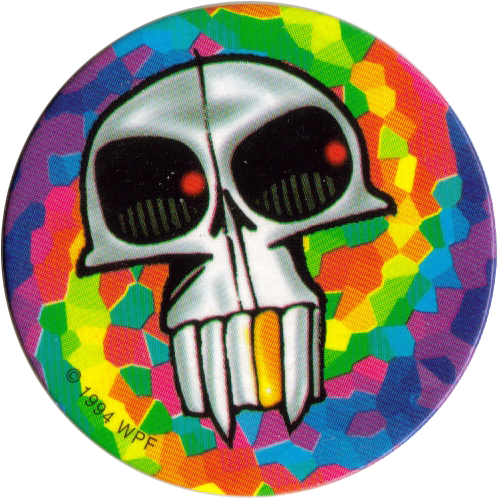 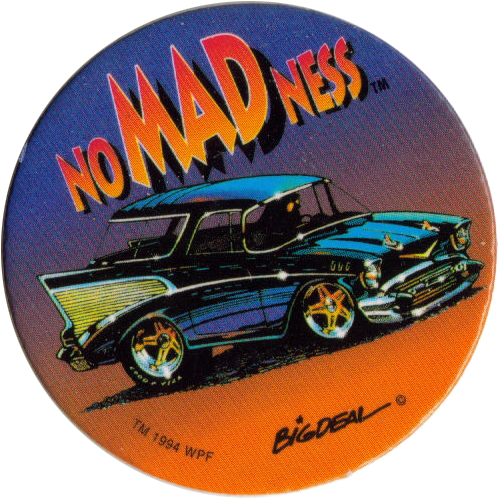 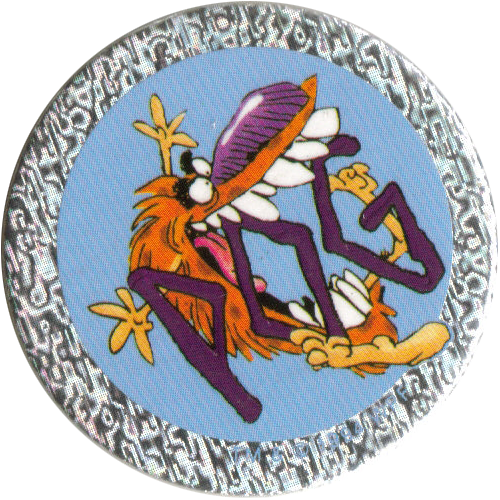 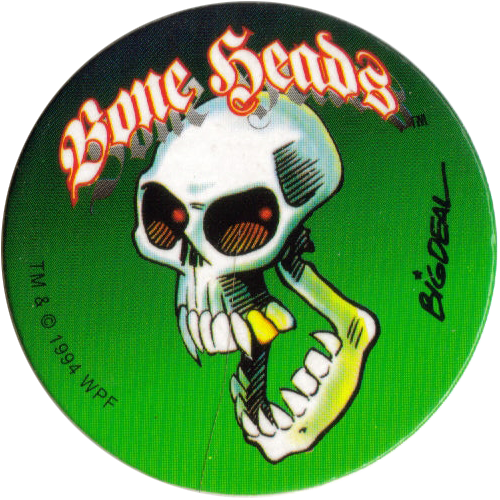 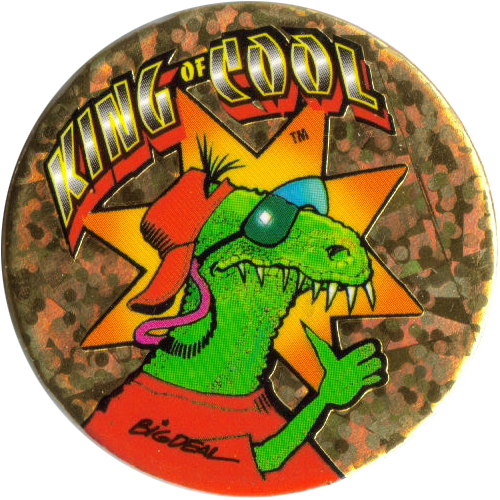 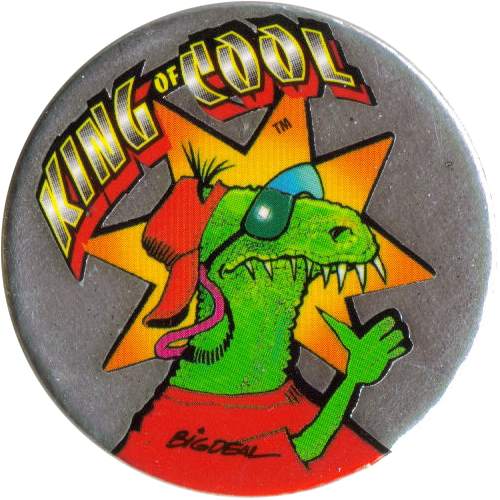 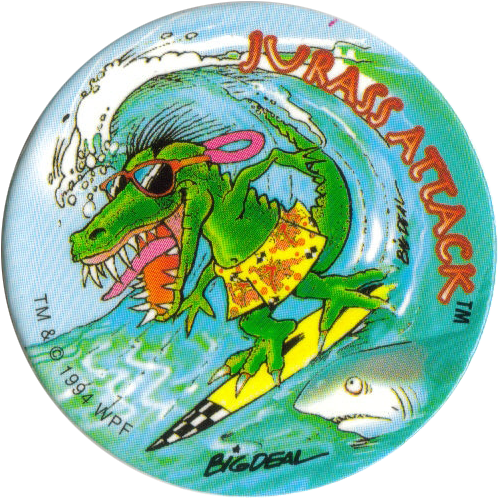 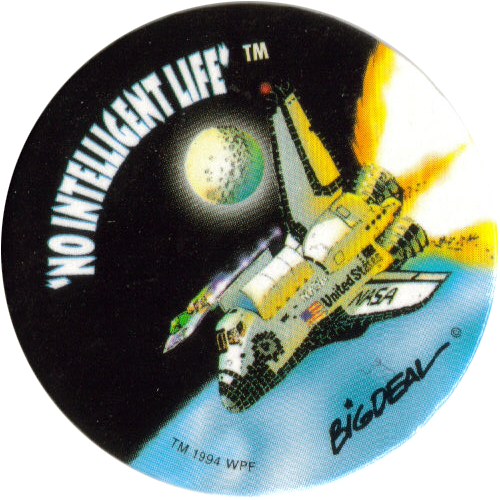 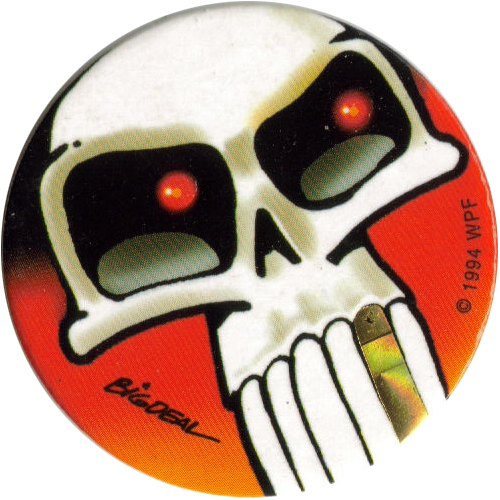 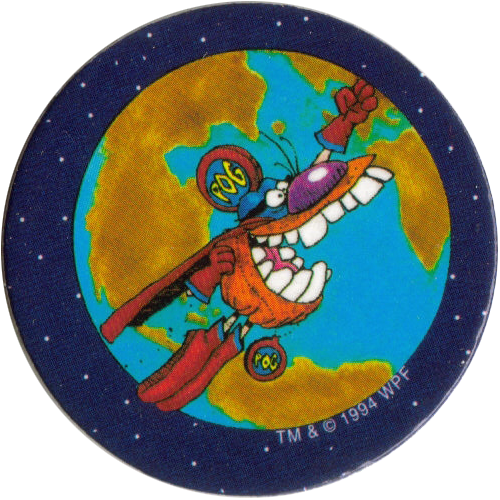 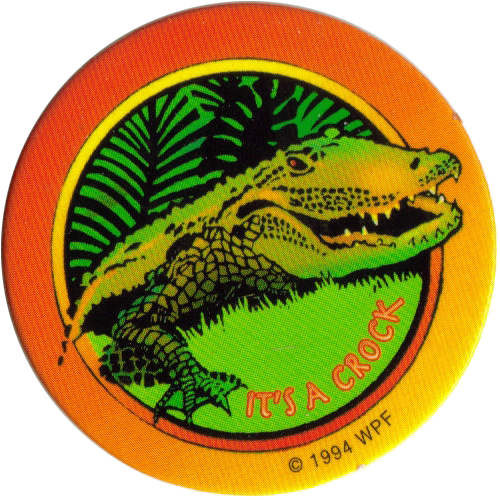 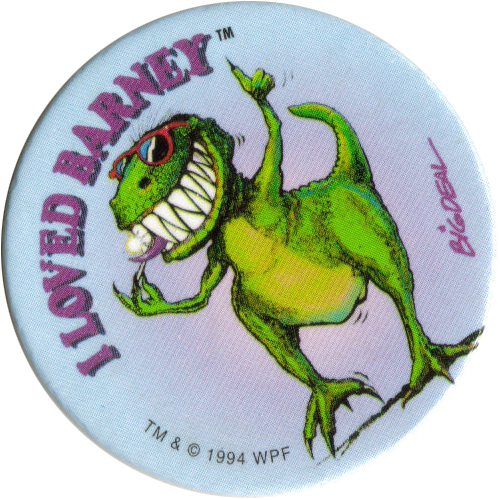 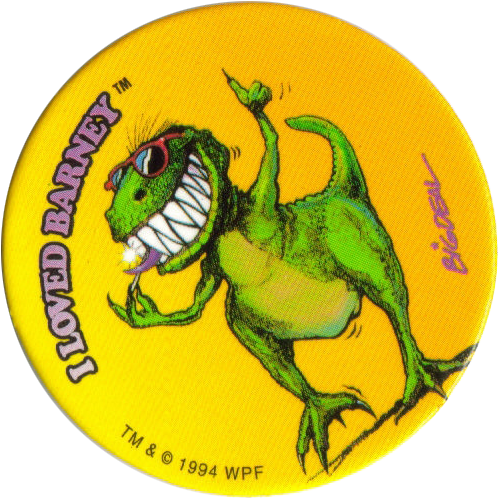 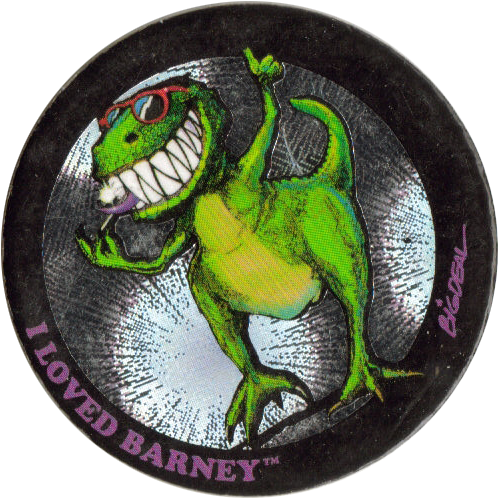 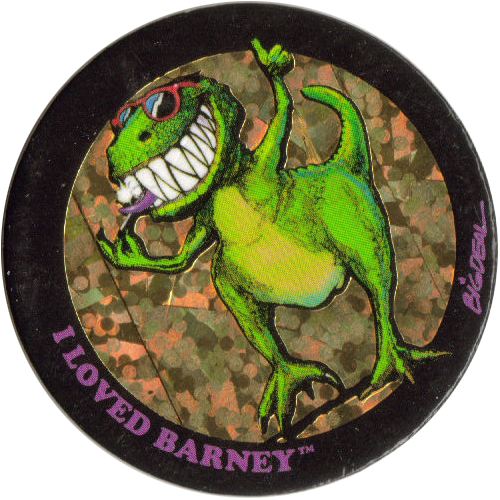 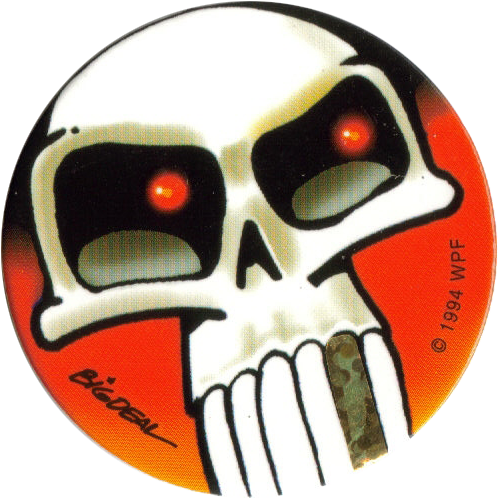 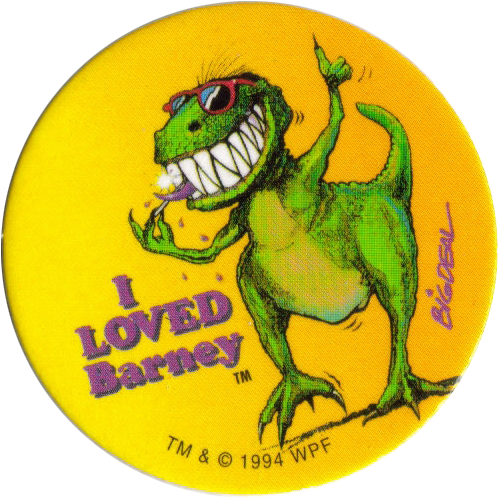 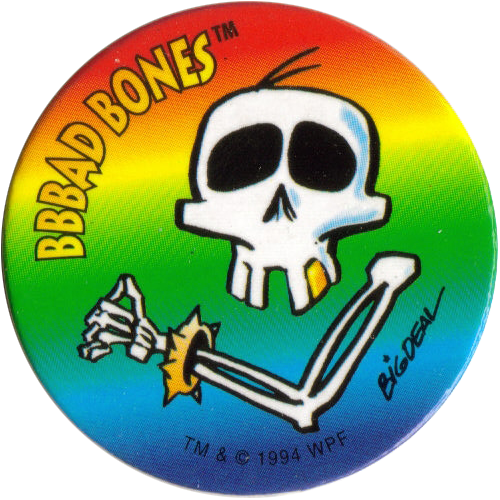 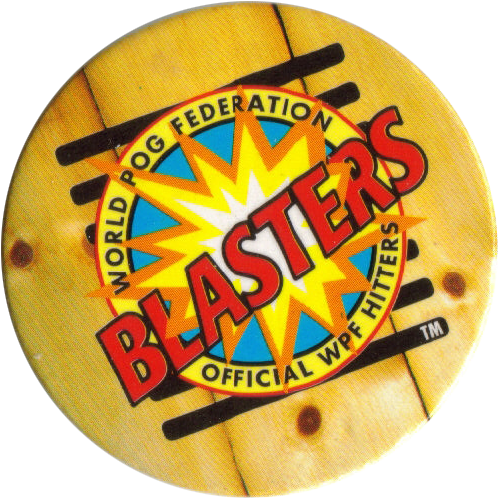 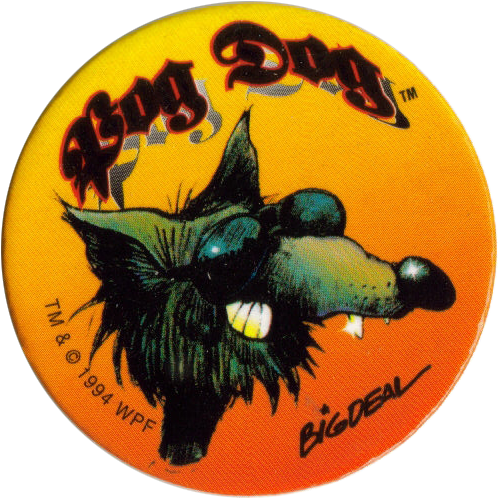 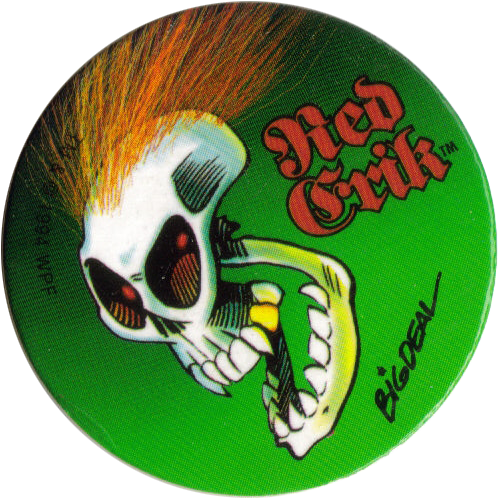 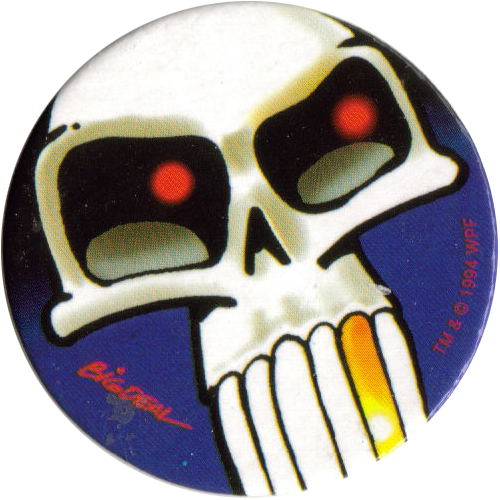 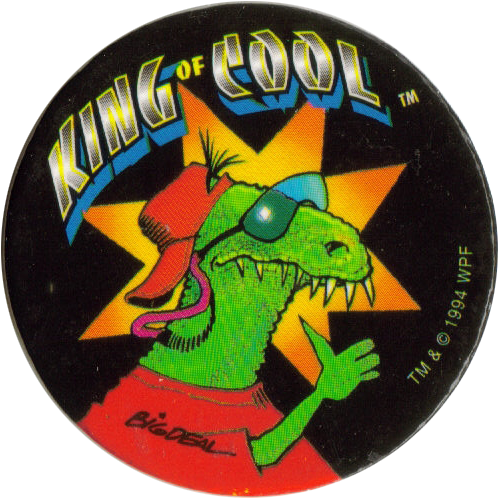 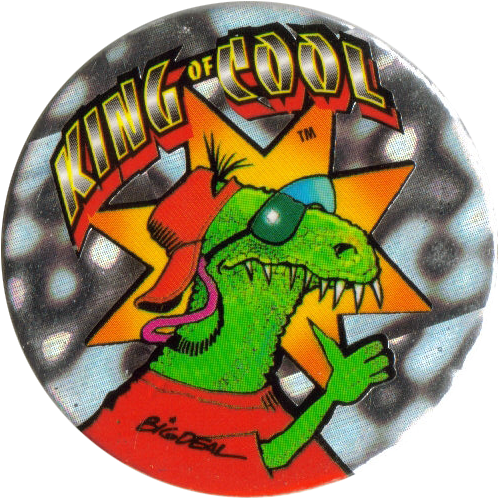 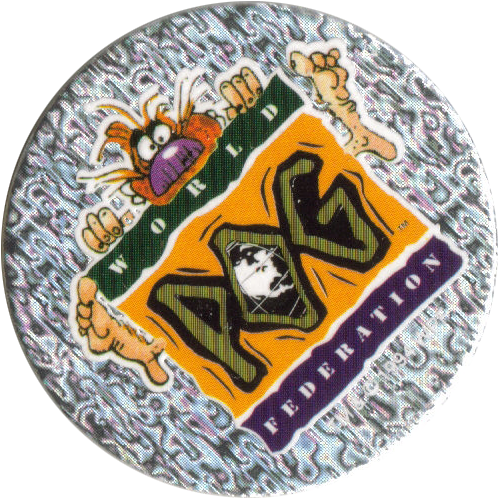 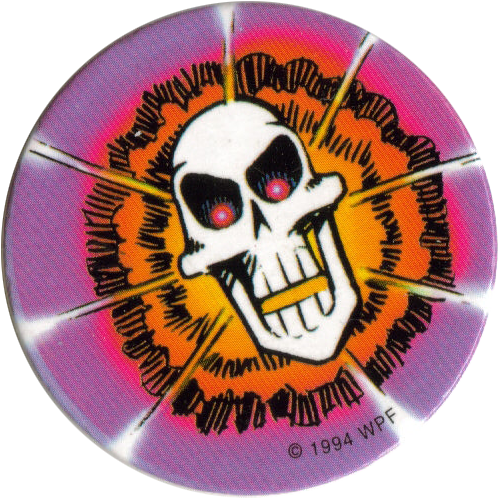 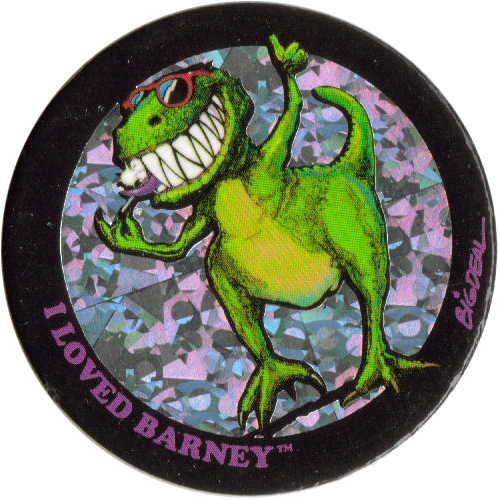 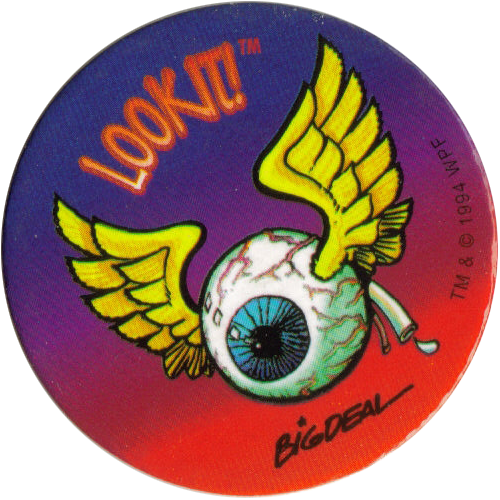 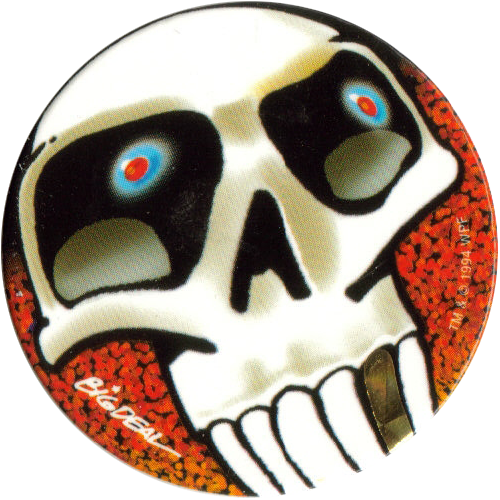 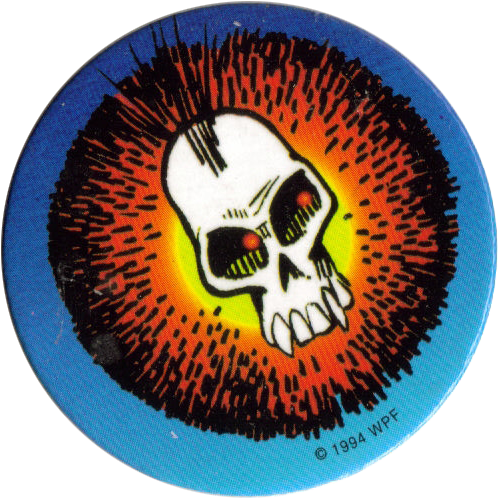 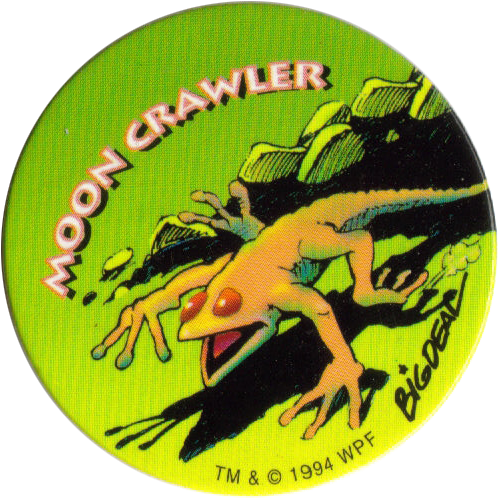 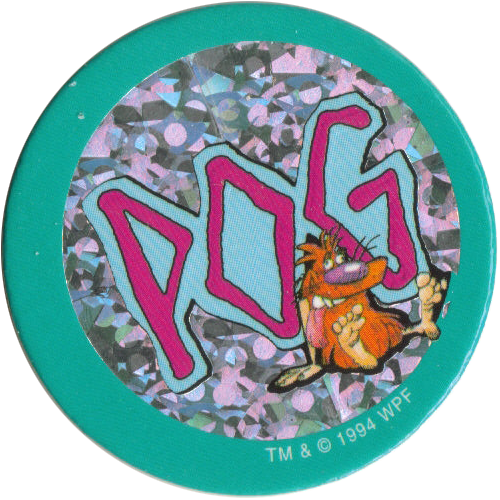 There are 70 different pogs in the full set, plus there are also lots of different variations of the ones that have holographic foil as part of the design, with a number of different designs of holographic foil being used. 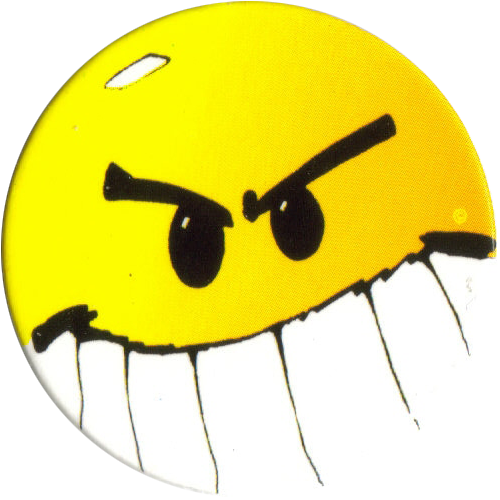 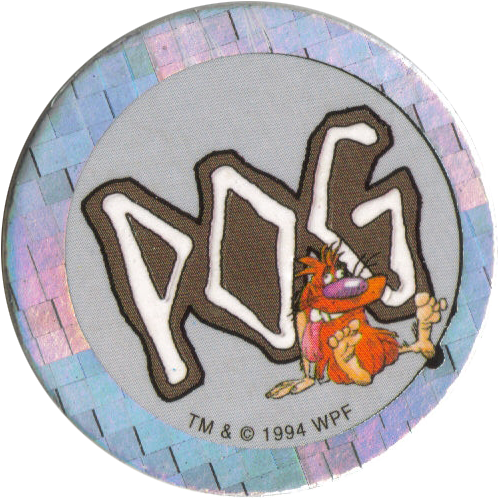 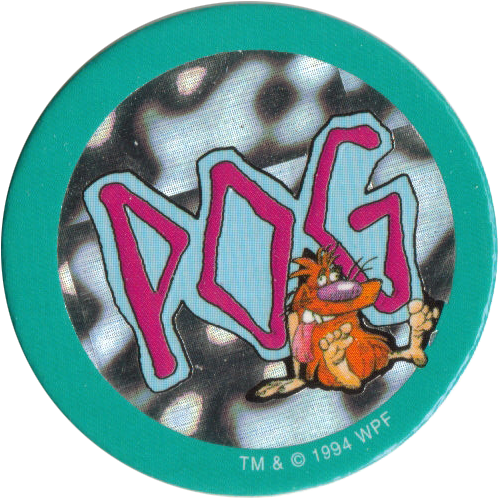 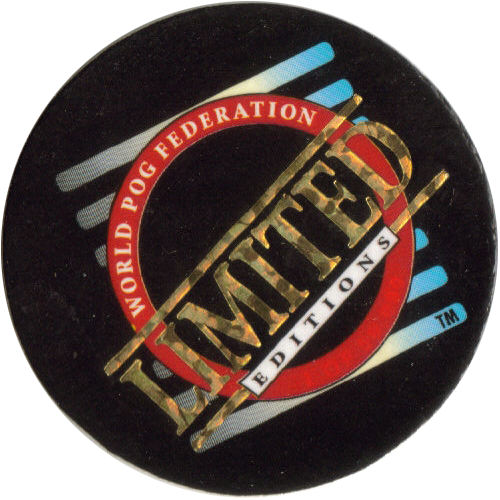 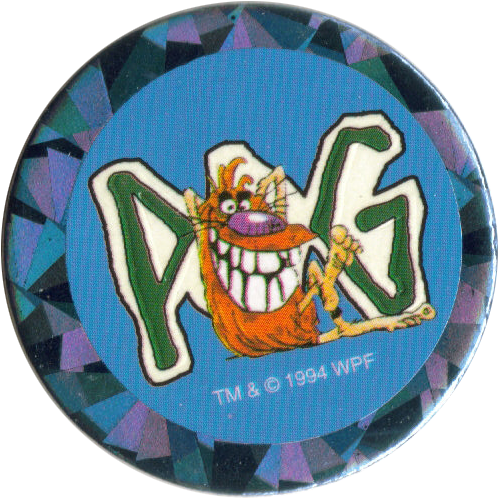 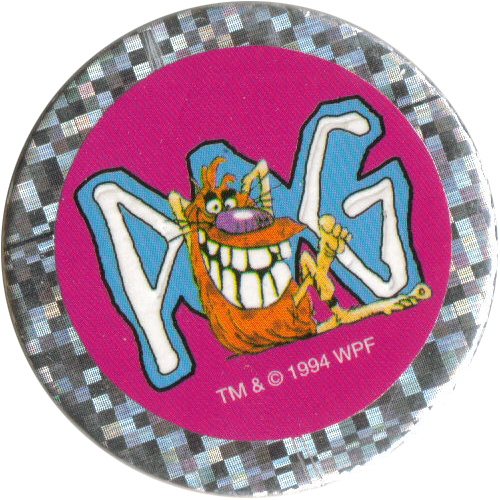 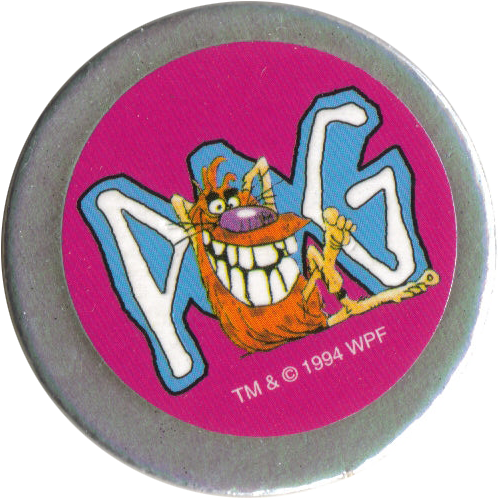 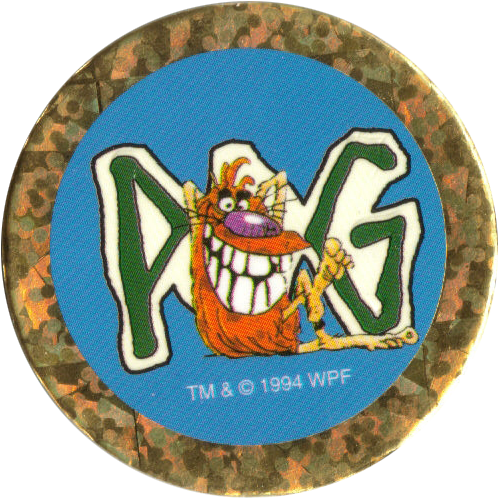 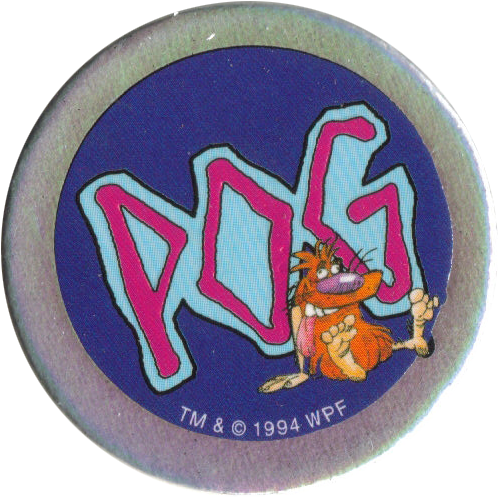 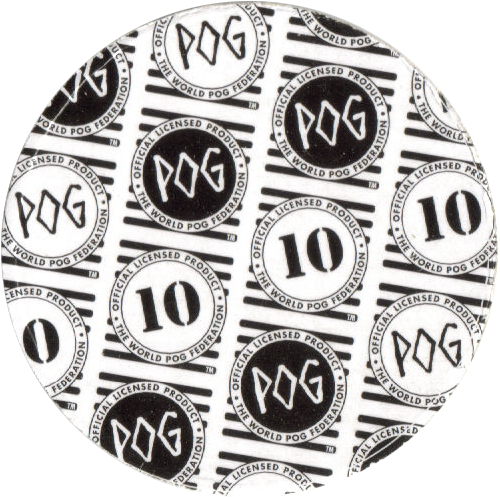 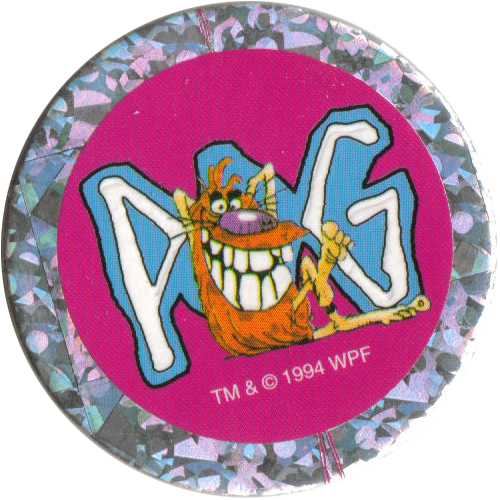 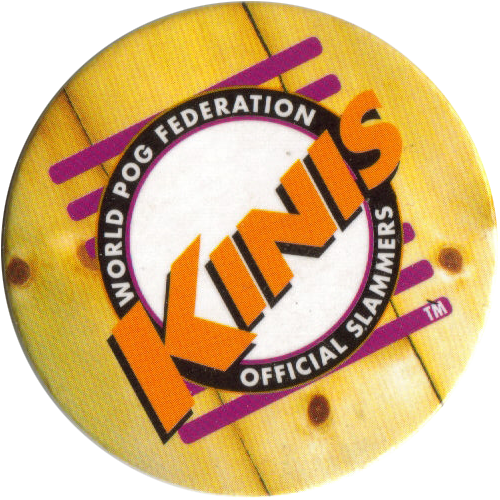 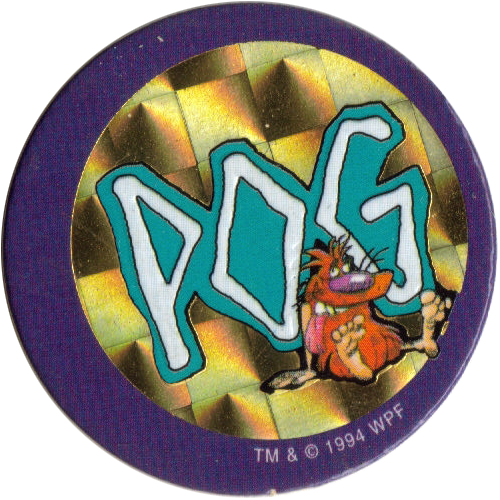 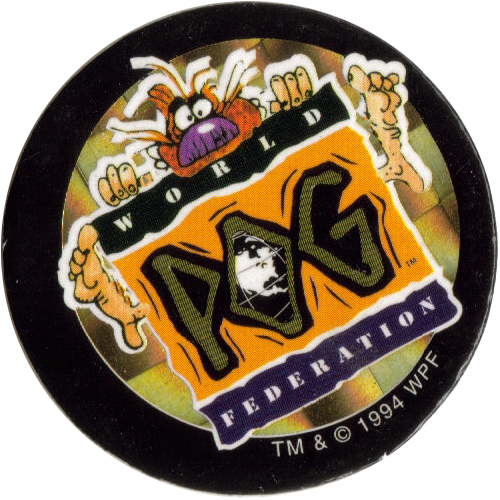 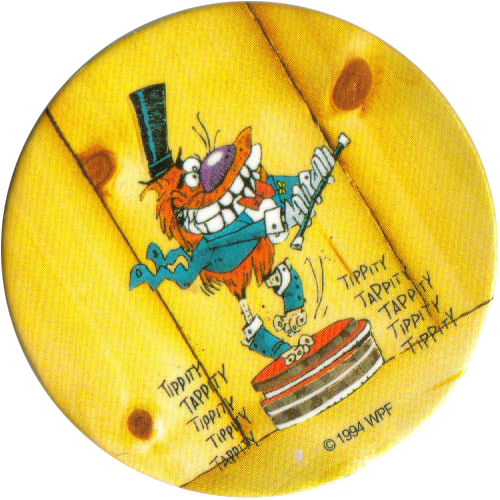 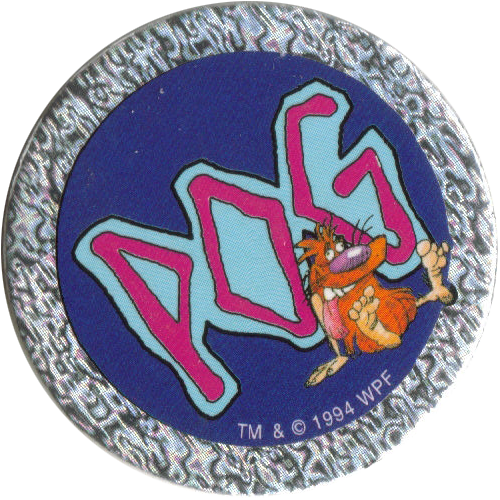 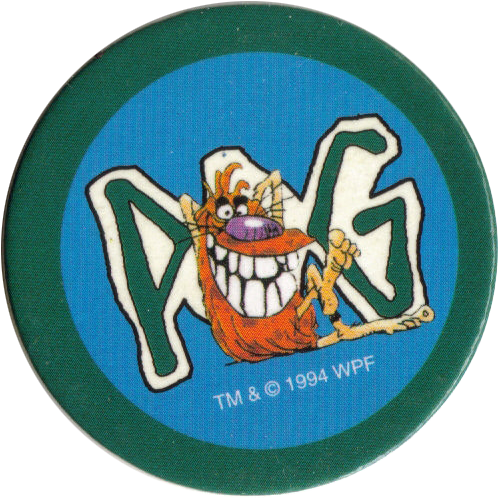 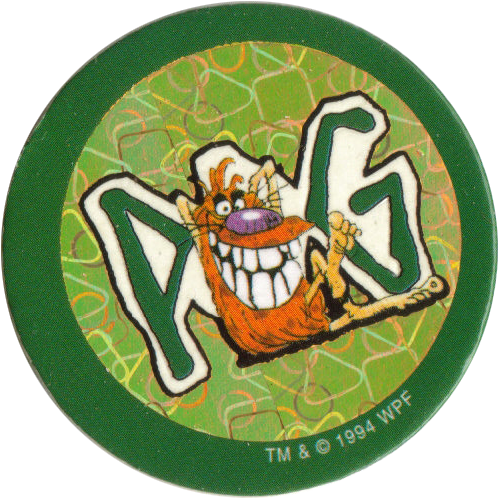 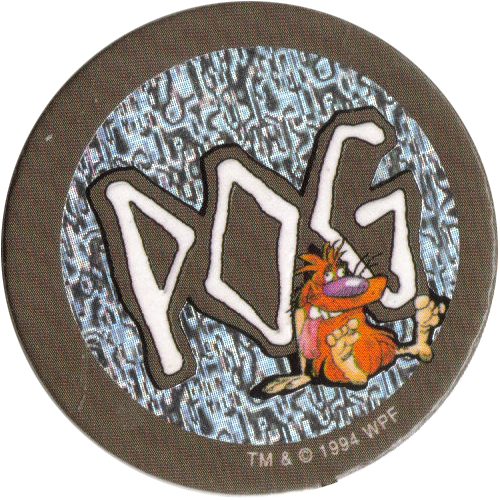 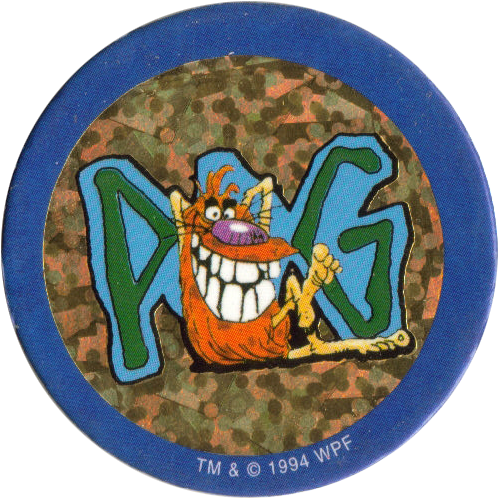 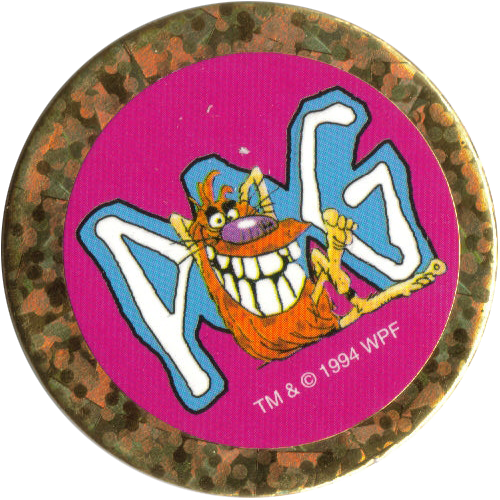 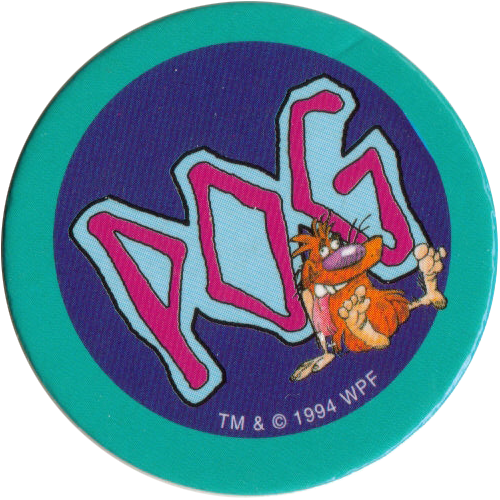 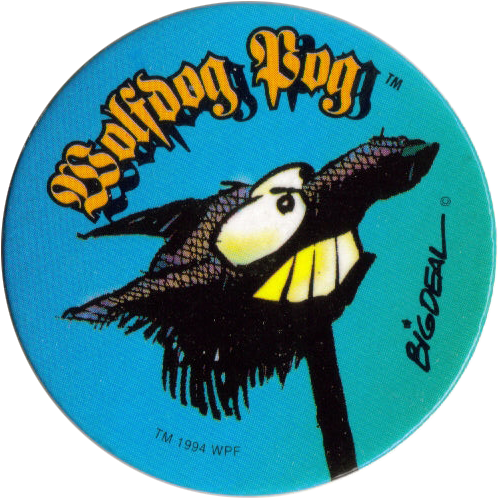 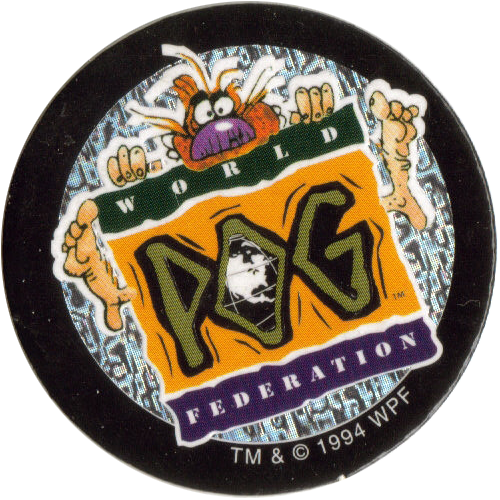 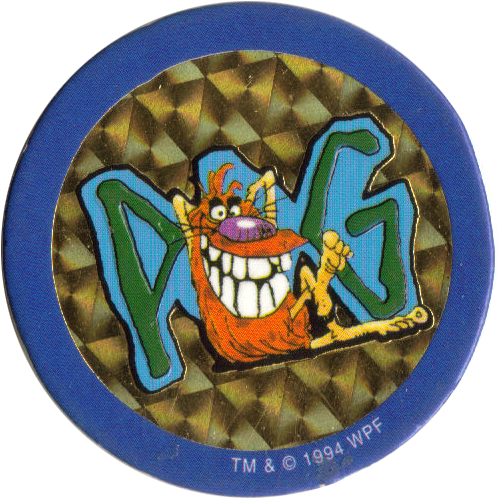 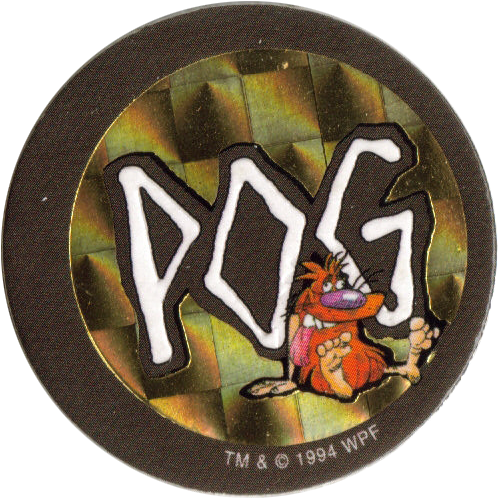 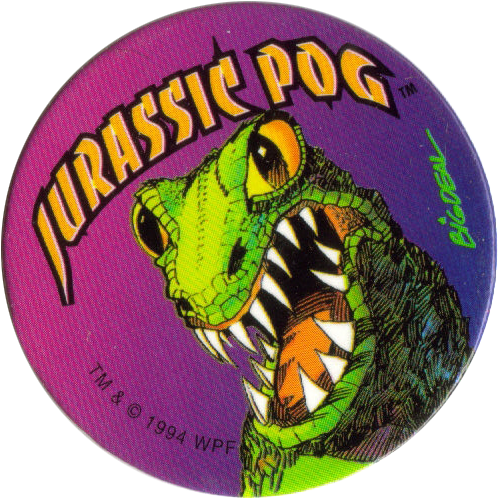 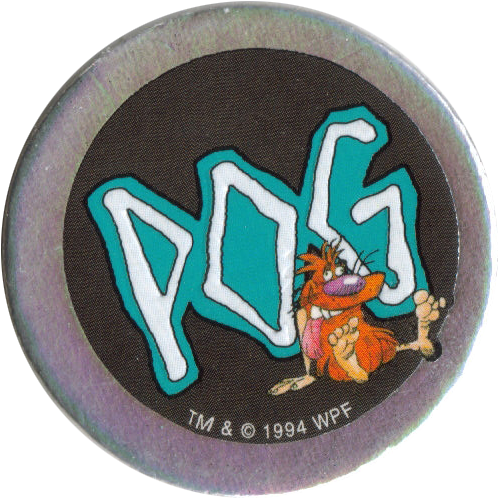 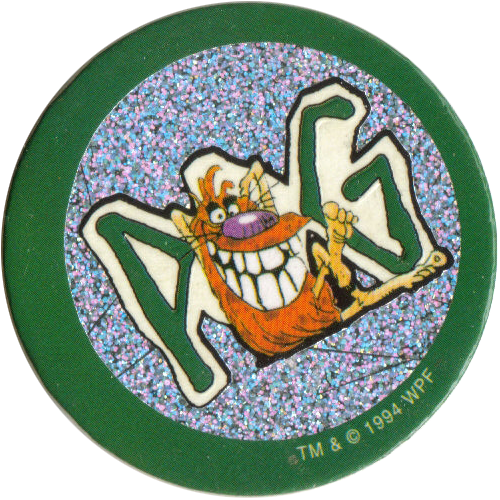 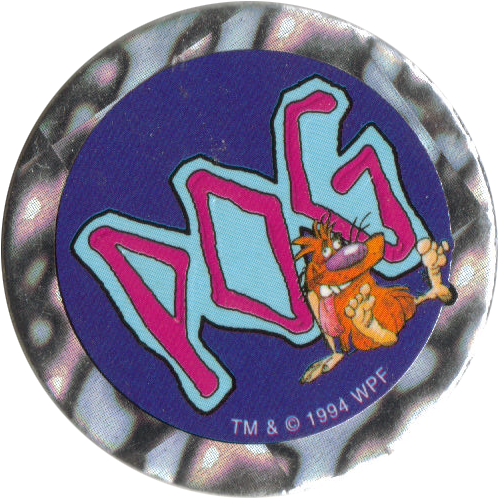 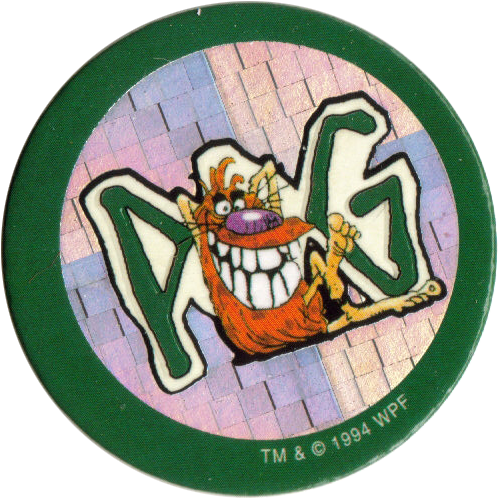 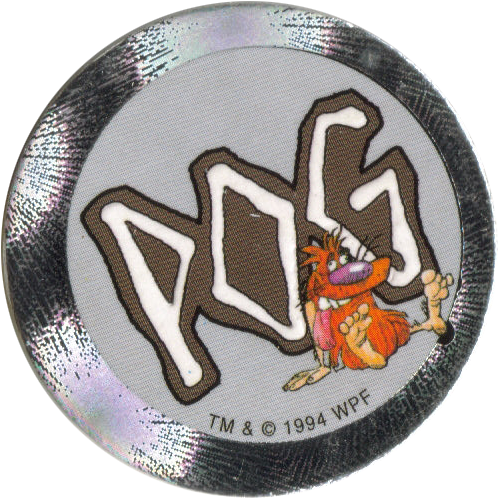 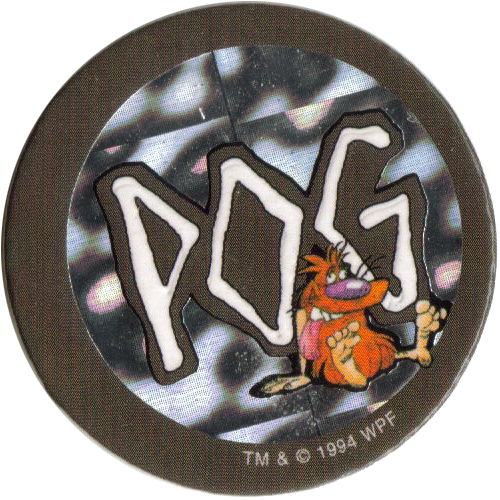 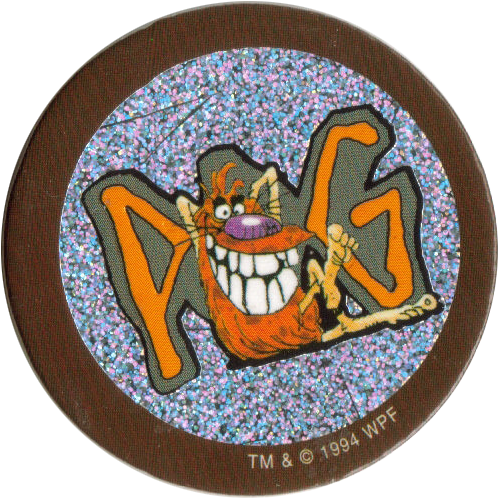 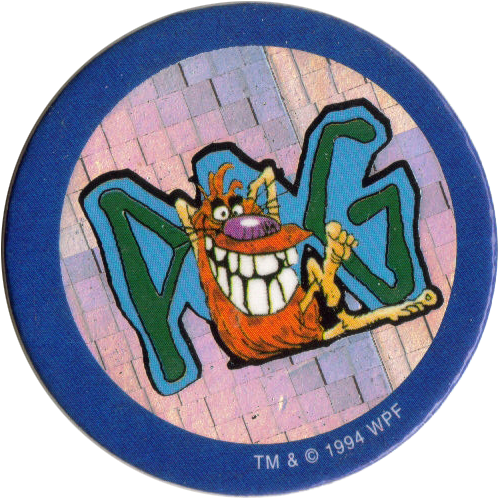 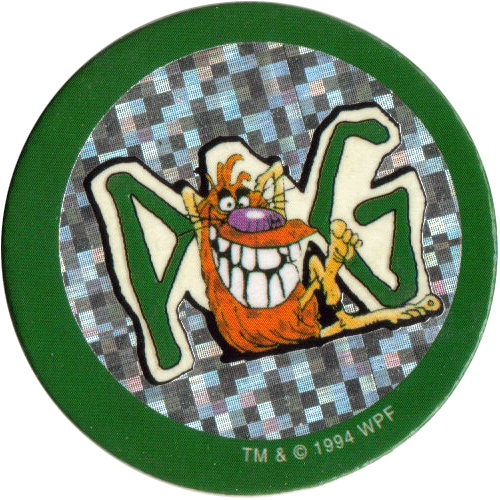 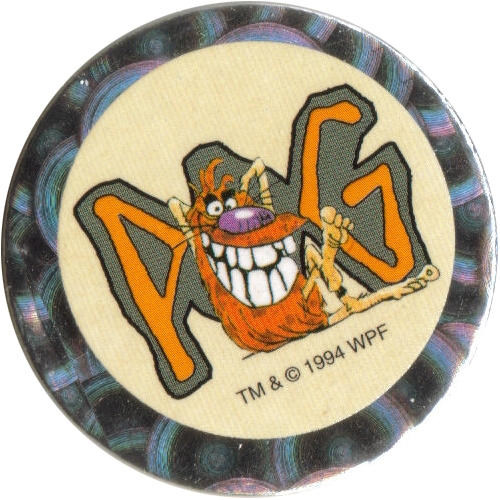 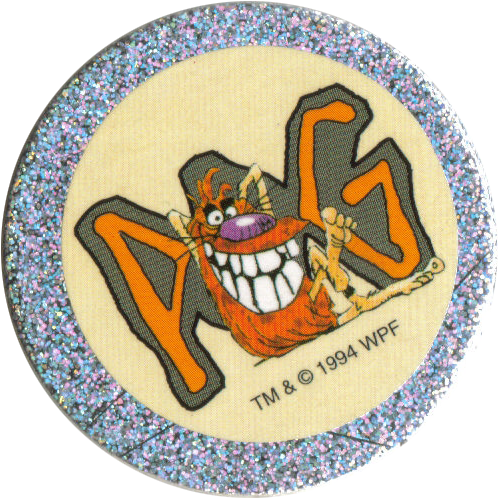 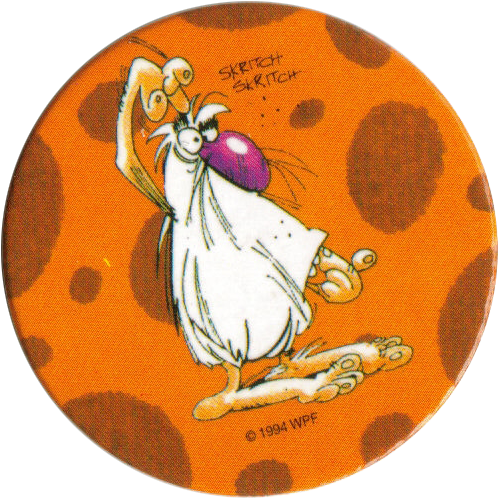 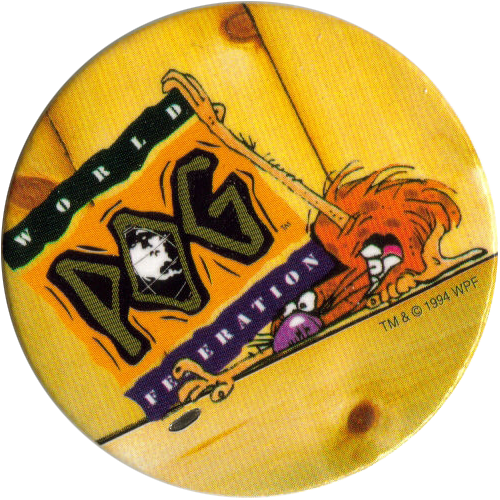 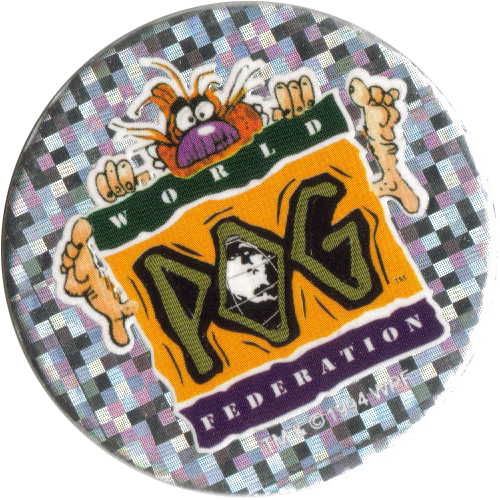 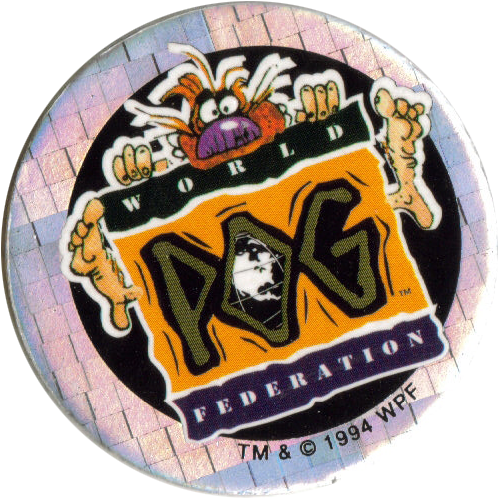 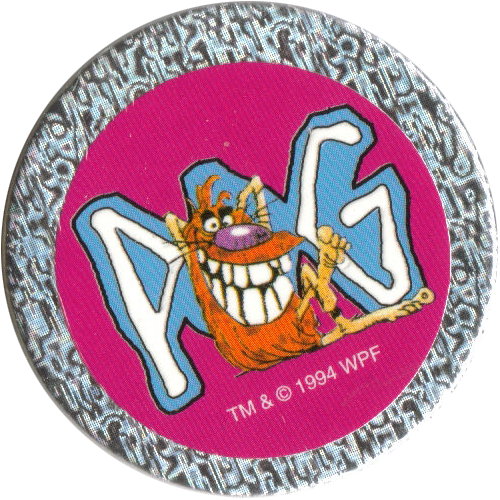 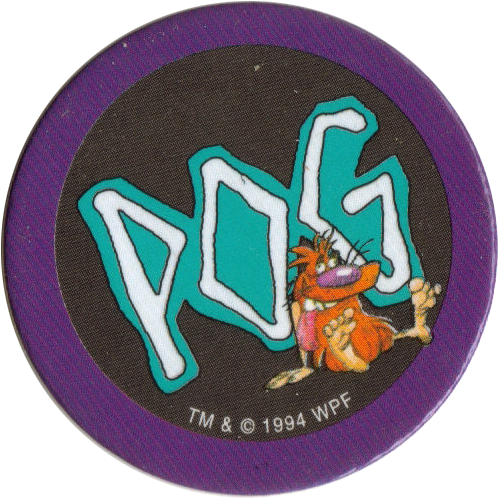 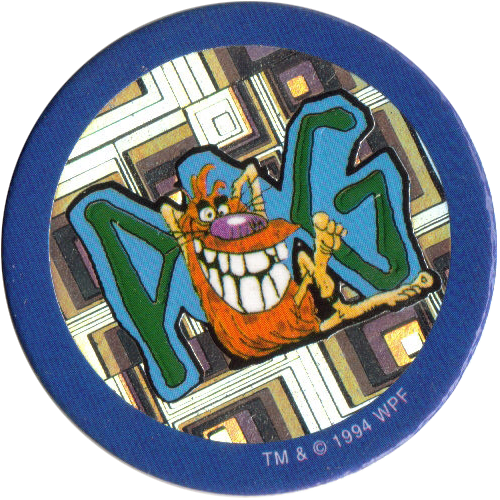 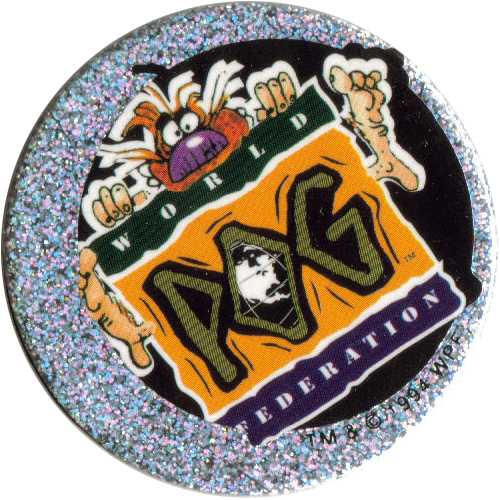 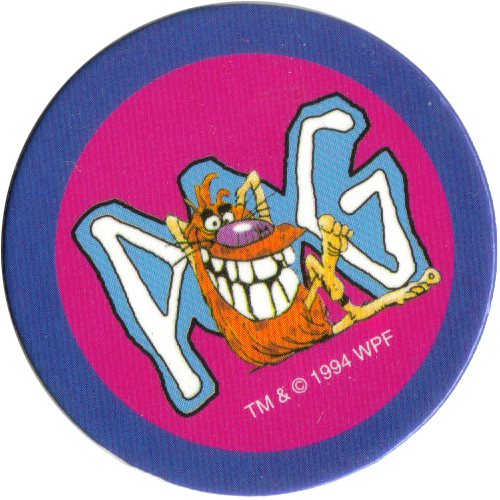 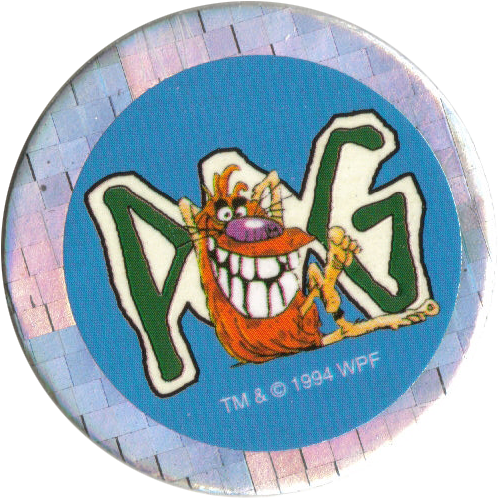 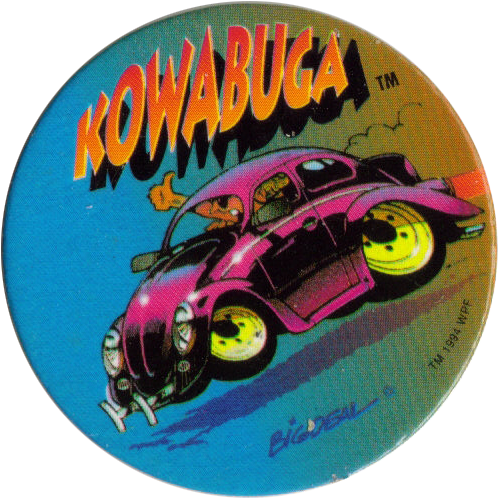 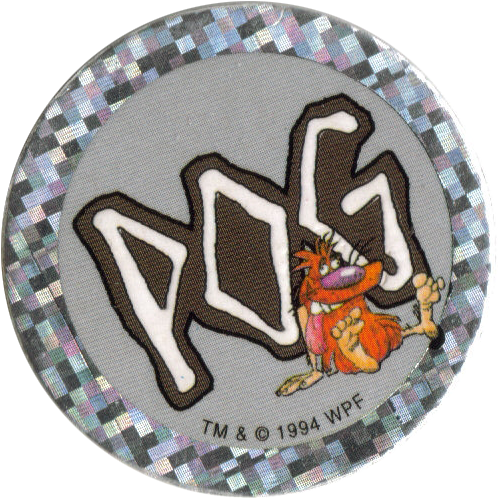 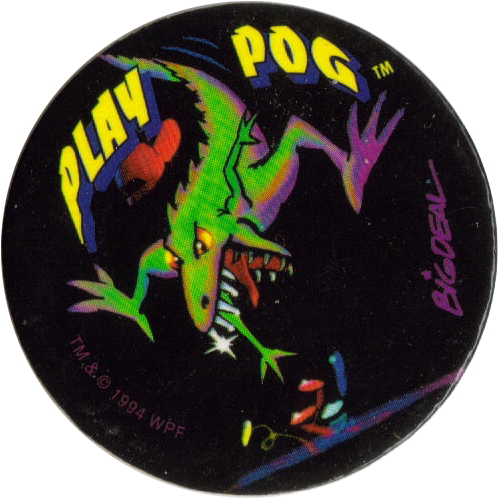 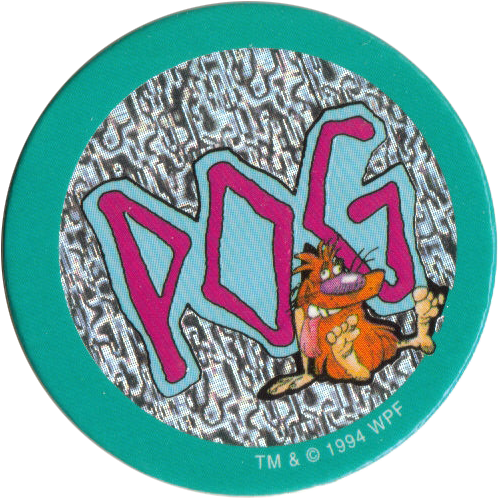 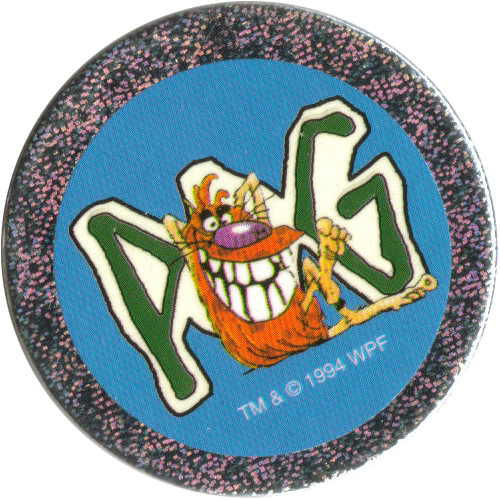 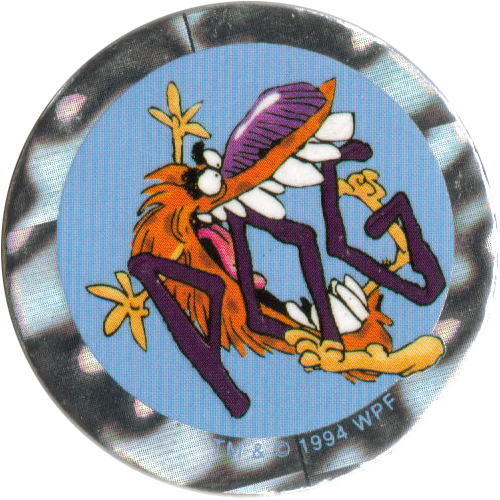 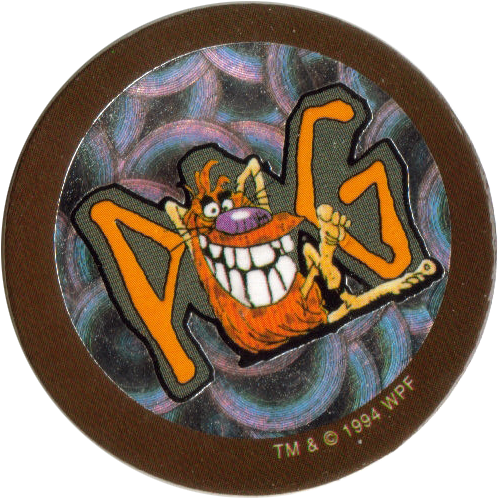 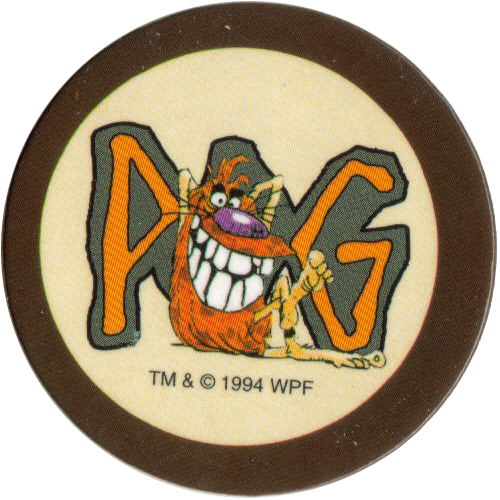 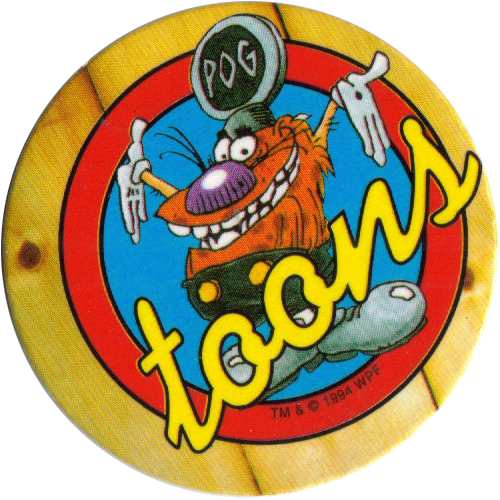 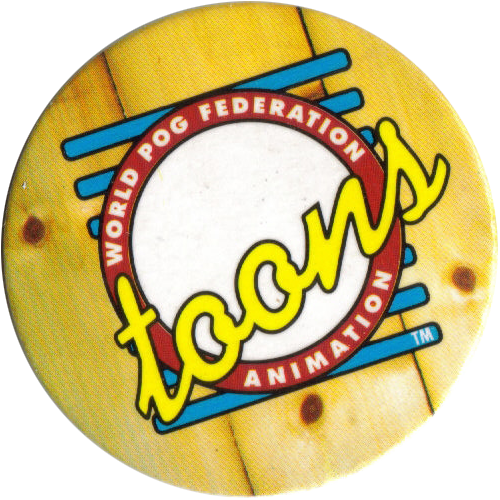 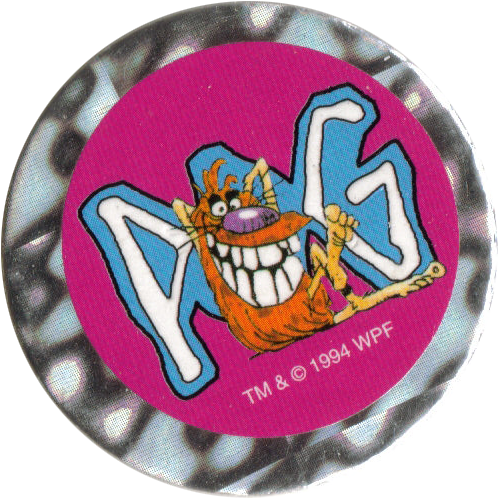 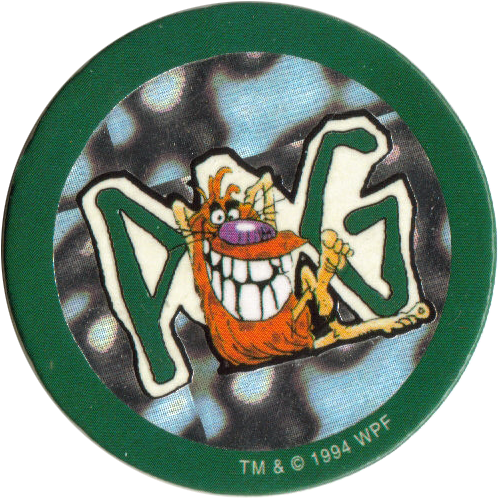 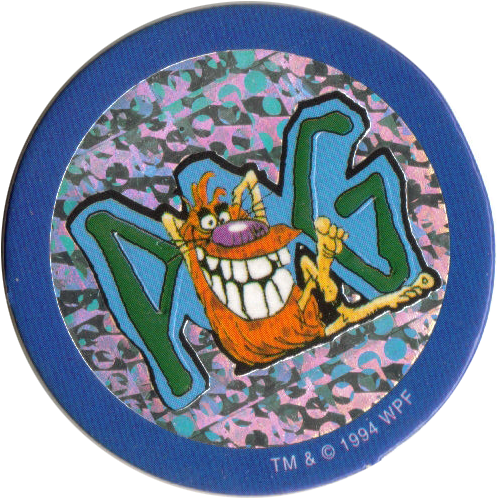 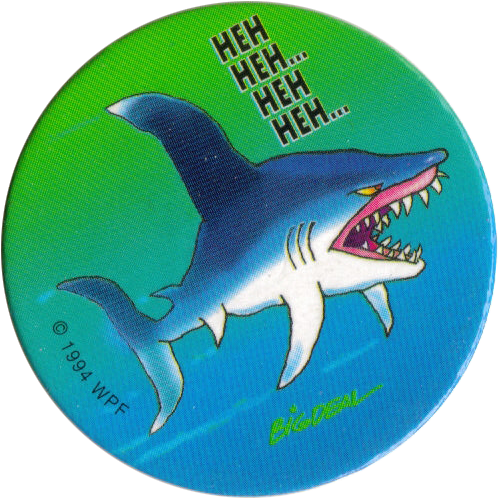 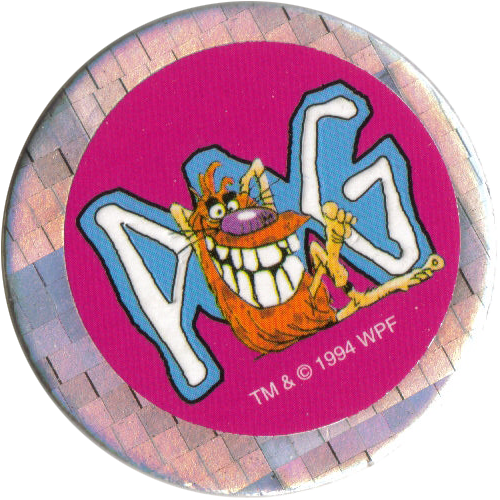 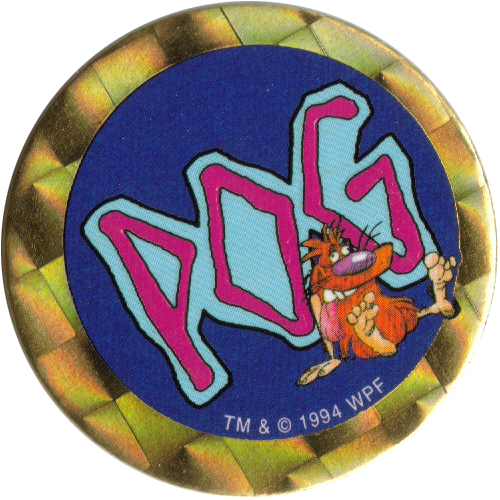 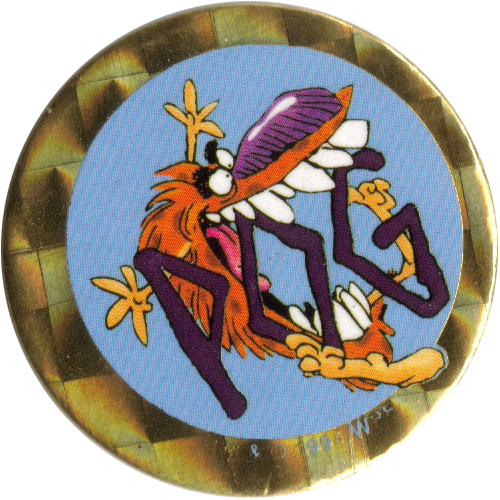 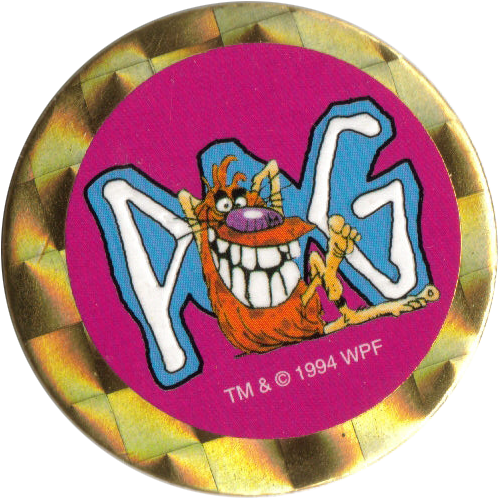 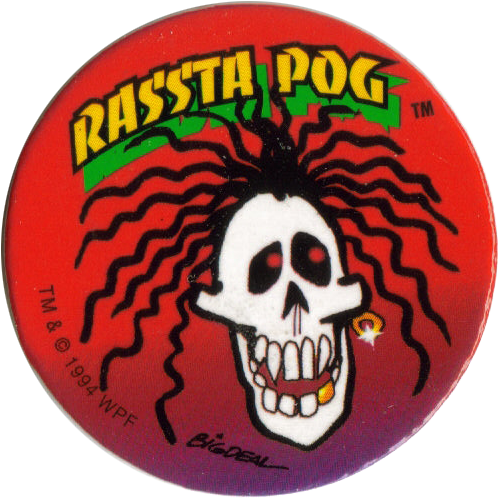 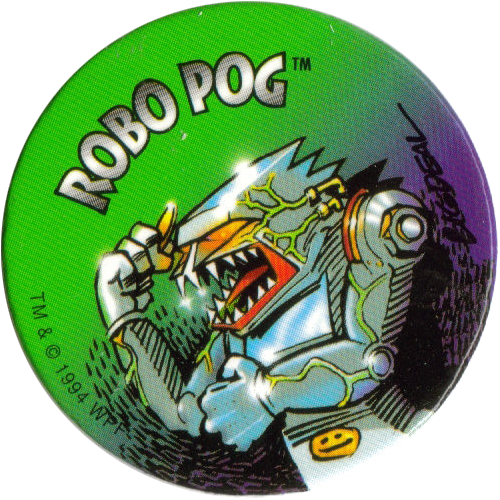 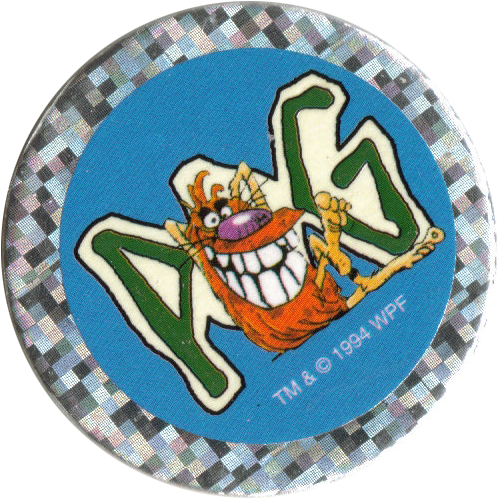 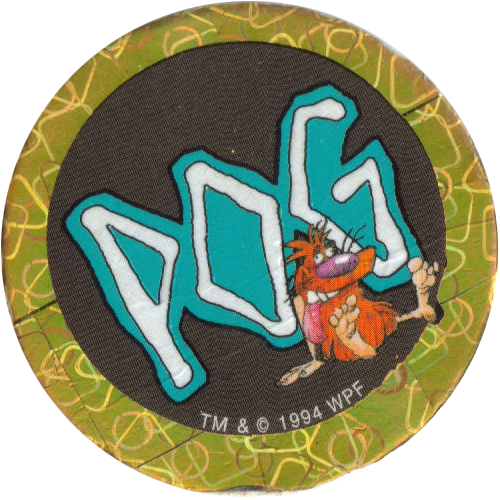 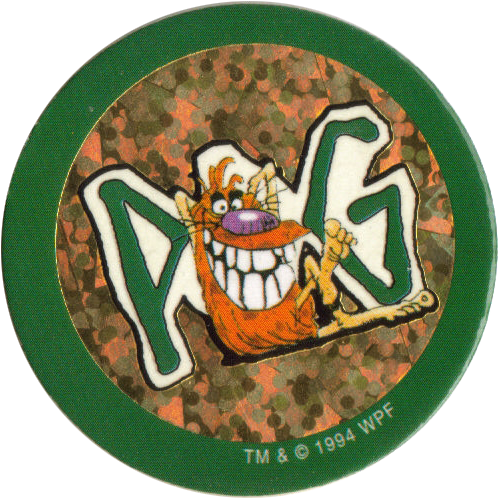 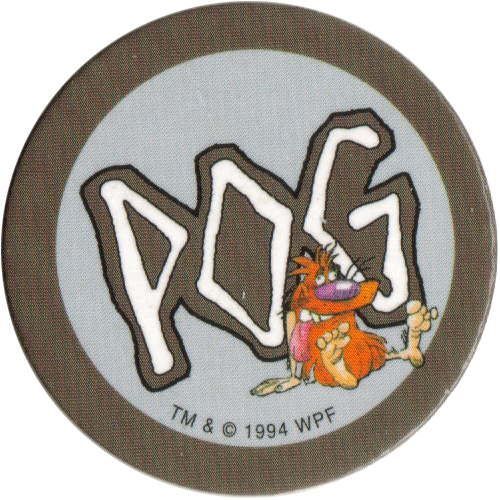 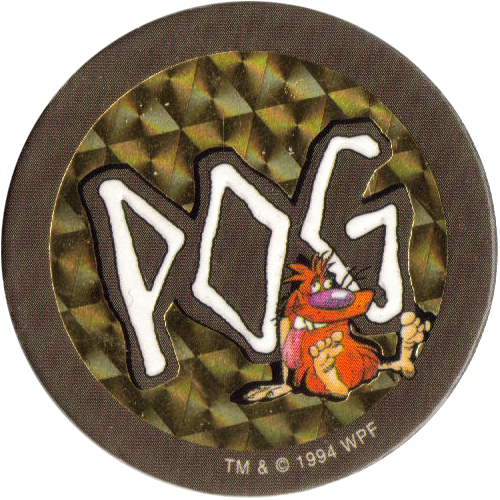 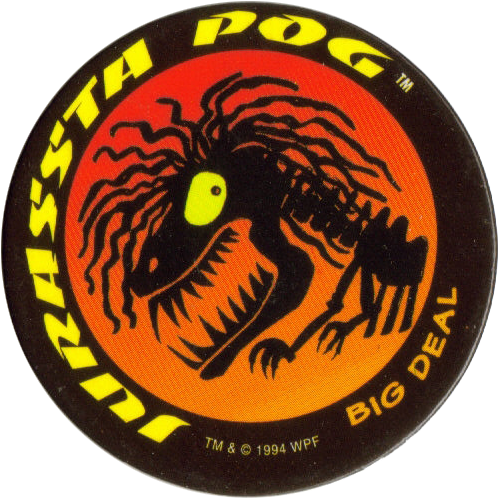 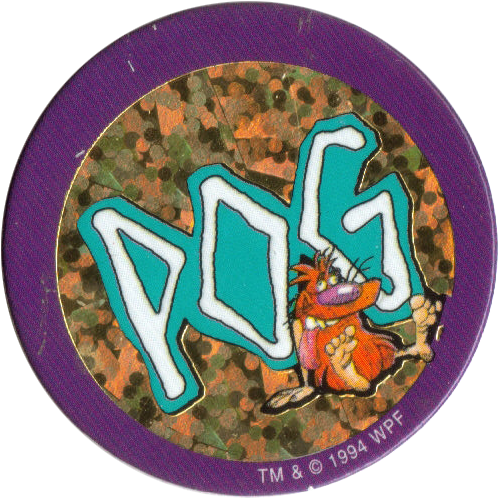 The same set was released in the UK by Waddingtons as POG Series 1. 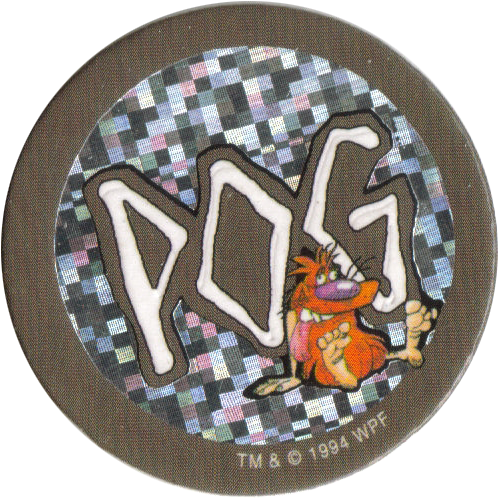 The difference between the two sets are the backs of the caps, and the types of holographic foil used on the foil pogs. 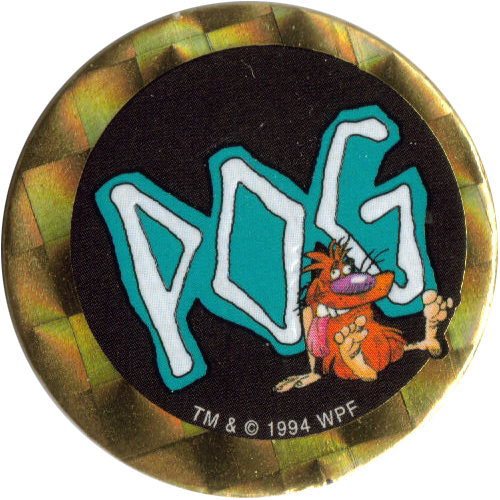 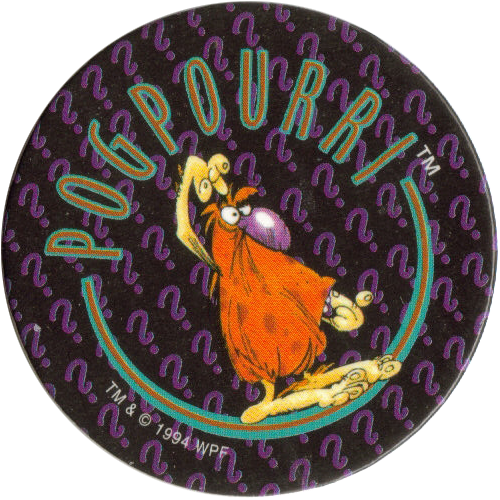 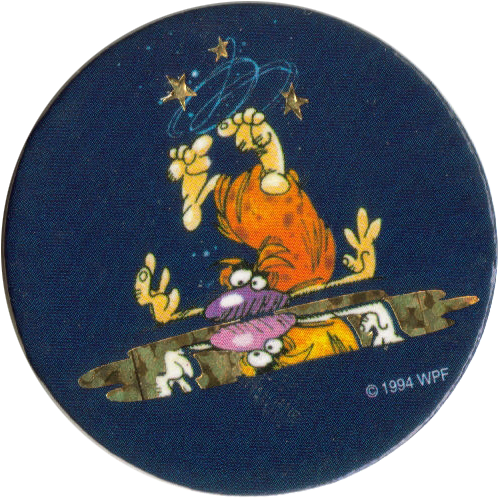 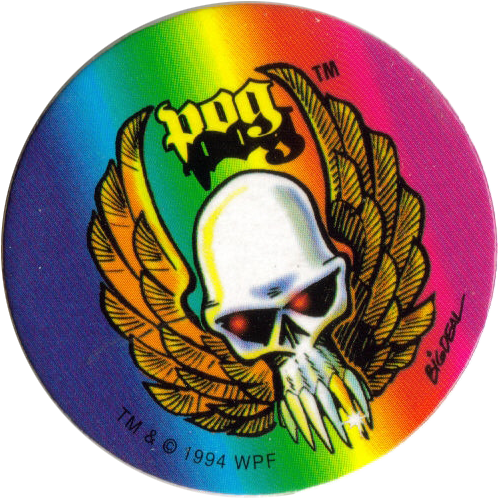 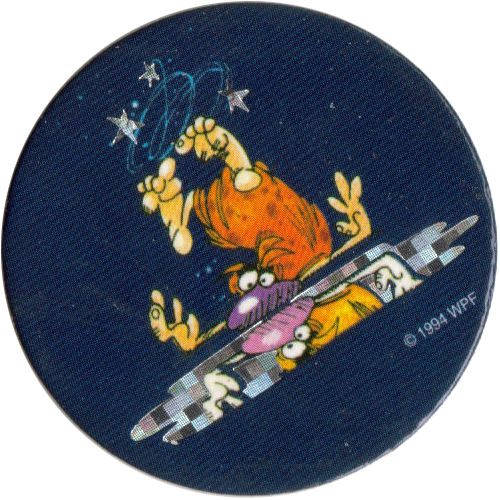 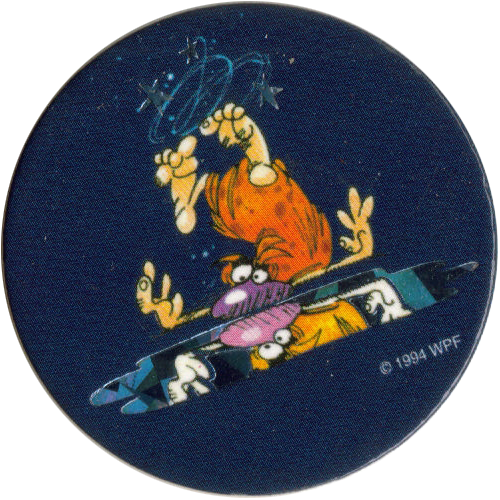 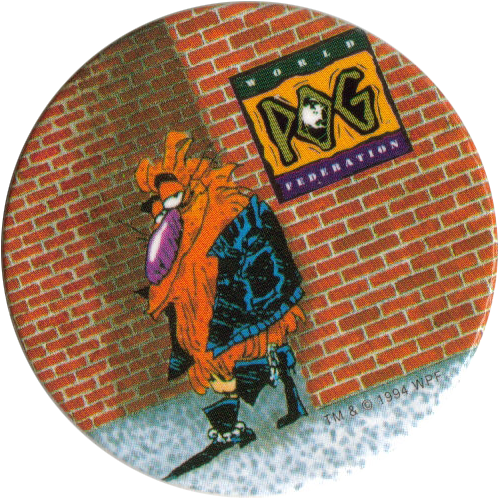 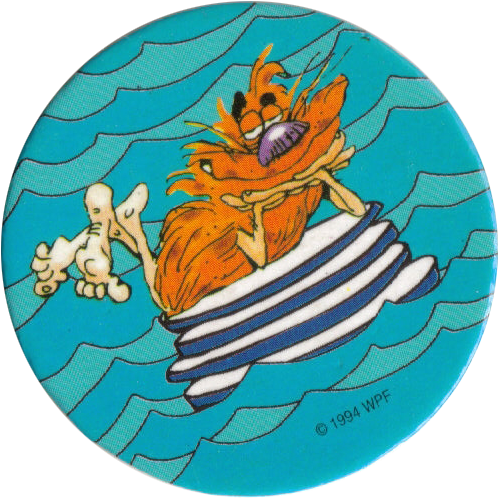 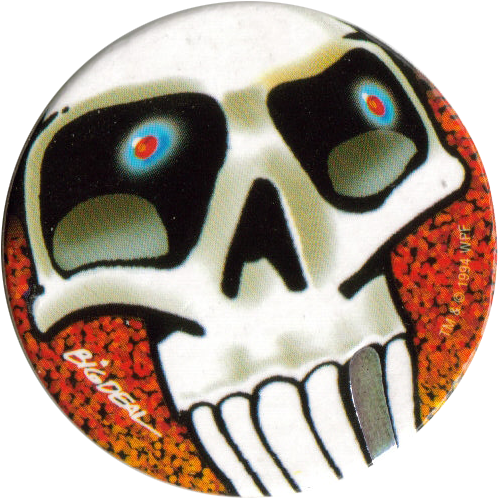 Thanks to Silke for the scans of these Pog Pourri Series 1 POG milkcaps.